Hairballs—also known as trichobezoars (pronounced trike-oh-bee-zohrs)—are considered a normal quirk of being a cat, but they say more about your cat’s digestive health than you might expect. Chronic hairballs occurring more than once or twice a month are associated with poor diet and digestive problems. In this article, we’ll learn about how hairballs relate to diet and which foods can help to lessen your cat’s hairball issues. Are hairballs normal, and what do they have to do with diet? Ingrid King, a veterinary journalist and creator of ConsciousCat.net, thought that regular hairballs were a normal occurrence until she saw the differences between her cats who were fed raw food and those who ate vet-recommended kibble. Her first cat, Feebee, ate a vet-recommended dry cat food and hacked up hairballs a couple times a week, despite regular doses of a petroleum-based hairball treatment. After learning more about feline nutrition, King switched her two cats Amber and Buckley to a grain-free canned diet. After the transition, yakking up a hairball became a rare event. And Ingrid’s current cats, Allegra and Ruby? The two torties were raised on raw food and, when Ingrid wrote on the topic in 2012, had never vomited a hairball. This story might be a string of coincidences, but it might also tell us something about the connection between hairballs and digestive health. Hairballs normally pass through the intestines and leave your cat’s body through their stool. If this movement is interrupted or delayed, the hairs may fuse together with fat in the stomach, forming a trichobezoar. Typically, this triggers retching, which forces the mass through the esophagus and up out of your cat’s mouth. In short, a hairball once a month or less is no reason for concern. Any more frequently suggests that something isn’t right. Do hairball home remedies and supplements really work? Hairball treatments operate on one of two premises. The first is the fiber theory, which dictates that fiber supplementation helps to bind single strands of hair to food particles, which hasten them on their journey towards the colon and into the litter box. Remember that more time spent in your cat’s body translates to more opportunities for the hair to fuse into a hairball. The second belief is that oils, waxes, or petroleum jelly lubricate the hairs and prevent them from fusing into a trichobezoar. As a fiber source, pumpkin helps to carry hairs through the body. Canned pureed pumpkin is the most popular fiber supplement for hairball-prone cats, but some use other fiber sources like psyllium husk powder or coconut fiber. These lubricants coat the hair in the digestive tract, helping it to pass through the system. They’re usually made from pharmaceutical-grade petroleum jelly, mineral oil, or a combination of the two. Instead of lubricating hairballs as some suggest, butter and oil are digested and absorbed by the body before they can have any effect. Too much fat supplementation could bring your cat a whole new set of digestive problems. This supplement lubricates the inner surfaces of the GI tract, helping to encourage hairballs to slide in the right direction. Egg yolks contain two micronutrients that can help to minimize hairball problems. These are choline and lecithin. The choline component acetylcholine helps to increase contractions in the muscular layer of the GI tract, propelling food and hair down and out. The other significant micronutrient in egg yolk is lecithin, which emulsifies the fat that binds hairballs together. You can provide these nutrients by adding egg yolks to your cat’s food or by providing an egg yolk lecithin supplement. Remember to choose egg yolk lecithin rather than lecithin from other sources like sunflower or soy. The best cat food for hairballs promotes overall digestive health. Knowing that hairballs can be a symptom of digestive problems, feeding a cat with chronic hairballs is similar to feeding a cat with other symptoms of GI inflammation. Your goal is to give your cat food that’s an organic match with their physiology. This means feeding your carnivorous cat a diet consisting primarily of meat and as few plant ingredients as possible. Like diarrhea or vomiting, hairballs are a sign of inflammation that may indicate food allergies. Consider switching to a limited-ingredient or hypoallergenic food that’s free from the potentially-allergenic ingredients your cat eats most often. Most foods sold for hairball control are high-fiber products. Fiber additives help food and hair move through the GI tract. While there’s evidence that indigestible matter can aid in the feline digestive process, a daily regimen of pumpkin, beet pulp, and cellulose isn’t necessarily what your cat needs. If your cat has been eating a typical commercial cat food with ingredients like brewers yeast, wheat middlings, and dried beet pulp, they’re already getting more indigestible plant matter than any cat needs. Start by giving your cat an optimally-digestible diet. If the hairballs persist, then you might try adding a small amount of fiber. This bare-bones recipe from Tiki Cat has several qualities that may help your hairball-prone feline. If your cat’s hairballs are caused by digestive issues, you might appreciate the simplicity and digestibility of this recipe. Unlike other foods that emphasize low-value plant protein, the recipe is all about the meat. Chicken takes center stage and dwarfs all other inclusions, offering a species-appropriate source of protein and nutrients. Of course, chicken-based food always comes with a caveat. 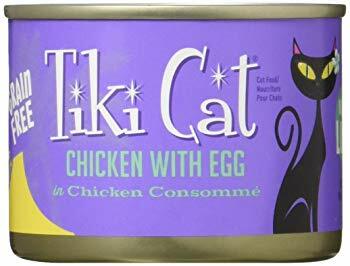 It’s probably not a good choice for cats with suspected allergies and is out of the question for cats with a confirmed chicken allergy. Because it’s so common in cat food, chicken is one of the top food allergens for cats. Because this food contains dried egg, it’s a source of the choline and lecithin that help to prevent hairballs. On the negative side, it’s made with sunflower seed oil instead of animal-sourced fats. Chicken fat, fish oil, and other animal-sourced fats are optimally digestible for cats. Since chronic hairballs can indicate digestive issues, it’s a good idea to choose foods with a positive reputation among cats with GI problems. 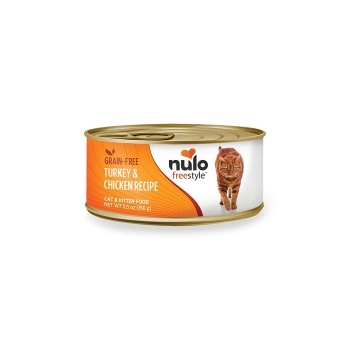 This chicken and turkey pate from Nulo has that kind of reputation. It’s primarily made from turkey and chicken meat, along with tuna fish. 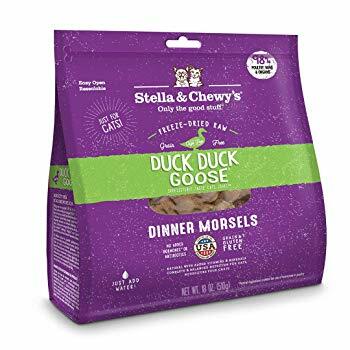 This variety of protein sources might make this food a problematic choice for cats with allergies or sensitivities, but for those who can handle it, this food does well in taste tests and seems to soothe the digestive tract. Along with pinches of other plant ingredients, the food contains pumpkin, which is a commonly-recommended treatment for hairballs. Because it’s built according to what the company calls a paleolithic feeding model, this food is particularly popular among cats with IBD and other digestive issues. This limited-ingredient food is made with a single source of animal protein. Turkey isn’t one of the top allergens for cats and a good alternative to commonly-allergenic chicken. The recipe is is one of the simplest on the market, containing turkey meat, organs, and broth, along with binders and supplements. No fruits or vegetables were used in the making of this food. For an obligate carnivore, this spells easy digestion and, hopefully, fewer hairballs. While few reviewers argue the nutritional merit of this food, some say that the pate has a strange firm texture and that their cats didn’t like eating it. These freeze-dried nuggets are primarily composed of turkey muscle meat and organs. Turkey isn’t a top allergen for cats, so it’s a good alternative to chicken for cats who have a known or suspected food allergy. 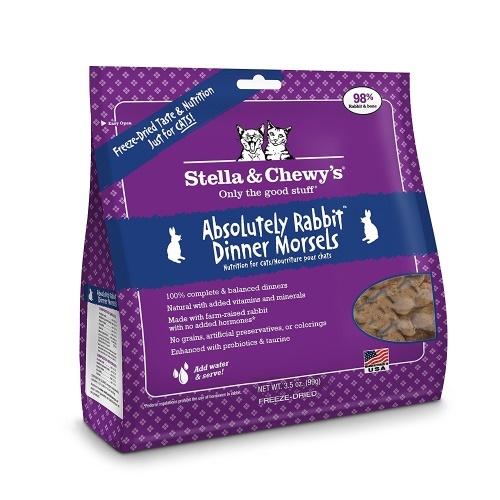 Because 96% of the protein in this recipe comes from animal sources, you know that it’s highly-digestible and nourishing for your cat. The food isn’t all meat, though. It contains small amounts of organic collard greens, squash, celery, cranberries, and traces of other fruits and vegetables. These low-carbohydrate plant ingredients make the food nutritionally complete in lieu of synthetic vitamins and minerals. Cats ingest hair during self-grooming, so one of the best ways to prevent hairballs is by brushing the hair off yourself. Instead of entering your cat’s GI tract where it will turn into a hairball, the hair will instead go straight into the trash. Click here for our guide to the best cat brushes and deshedding tools. Maintain a healthy coat to prevent excessive shedding. Identify any food allergies or sensitivities and eliminate irritating ingredients. Introduce an omega-3 fatty acid supplement. Species-appropriate sources of omega-3s include krill, salmon, and other fish. Avoid flaxseed oil and other plant-based sources of these fatty acids. Feed a nourishing diet rich in animal-sourced protein. Rule out any health conditions that could contribute to excessive shedding. I feed my cat Fancy Feast so could I mix the dry hairball remedy with the wet cat food? Most of the treatments mentioned above can be mixed into your cat’s wet food. You can mash dry psyllium husk powder directly into your cat’s food. The same applies for other powdered fiber additives. If you use slippery elm bark powder, you will want to mix the dry powder with water to create a thick slurry before adding it to your cat’s food wet Fancy Feast. 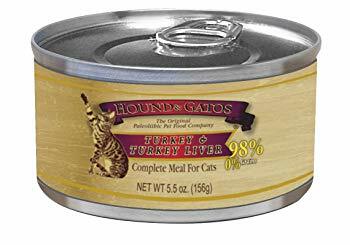 My 10 year old cat will only eat dry food, I have tried in vain to introduce quality handmade “wet” food into her diet with absolutely no interest on her part, she will skip eating if there is wet cat food presented, even if it is mixed with her dry food in a small introduction. 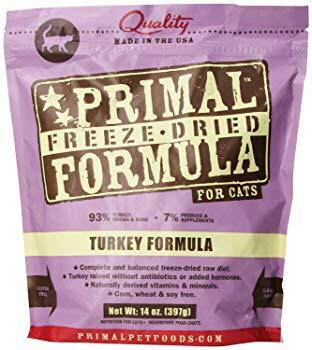 Given my dilemma, what dry cat food would you suggest, unbeknownst to me until just now I have been putting my trust in “Call of the Wild” cat food only to find out that it is not the quality food I thought it to be. I would be so grateful for your guidance. I know you’ve tried adding wet food to her dry kibble, but have you tried adding a little warm water to acclimate her to the idea of food that doesn’t crunch? Due to the risk of aflatoxin mold growth, this can be a little risky when feeding a grain-inclusive food, but mold is less of a concern if you’re feeding your cat a low-carbohydrate, meat-based food. 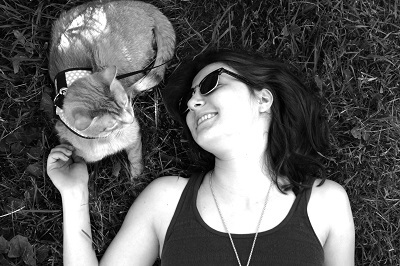 Hope you find a great product that both you and your cat love!